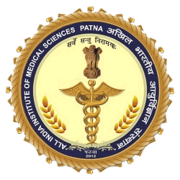 Pay the Examination Fee through Demand Draft drawn in favor of "AIIMS Patna" payable at Patna. (The Demand draft will be received on the day of interview). A graduate degree (MBBS) and MD/DNB from a recognized university. (b) Certificate of SC/ST/OBC (non-Creamy Layer) certificate from the competent authority if applicable. (g) NOC from the present employer( if employed) (h) AllMS, Patna reserve the right to make amendments to the number of posts advertised based the functional requirements to the institute and to fill or not to fill up for posts partially or completely without assigning any reason.